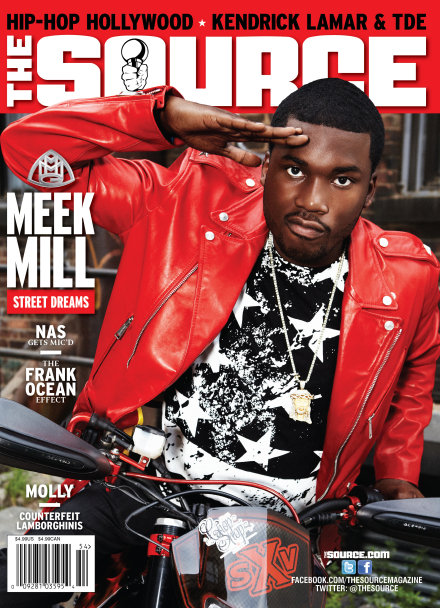 The Source Magazine is repping the streets in its latest print issue featuring Meek Mill on the cover. On the verge of his highly anticipated MMG/Warner Bros. debut Dreams and Nightmares, the Philly rapper gives the August/September Back-to-School issue – available on-stands August 7th – the first in-depth look into his rise to success, his personal life, and his music. The issue also pays homage to Hip-Hop’s Hollywood stars of yesterday, today and tomorrow. “Walk Of Fame” on page 48 is the magazine’s first “Hip-Hop Hollywood Hot List,” with special tributes to Hip-Hop A-listers such as Will Smith, Queen Latifah and Ice Cube, among others. Also in the magazine are full features on the TDE collective with interviews from Kendrick Lamar, ScHoolboy Q, Ab-Soul and Jay Rock, and a profile on Epic’s newest priority, Ca$h Out. Rick Ross And DJ Khaled Covers Respect Magazine.